Curve 9 on the Olympic luge track has become a nightmare for luge athletes. The curve is steep and demanding and has already produced two scary crashes. Athletes say they don’t think it’s dangerous, but that handling the curve correctly will be the difference in medals. 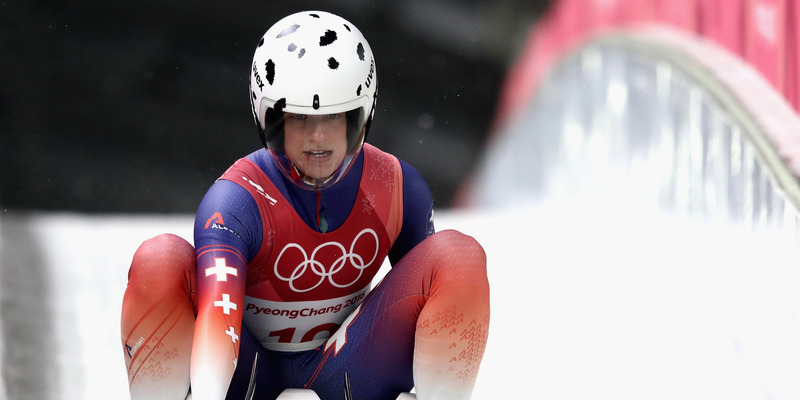 On Tuesday at the Winter Olympics, American luge athlete Emily Sweeney got into a scary-looking crash that she was lucky to walk away from. While flying down the luge track at 70 miles per hour, Sweeney’s sled wobbled out of control, eventually turning her sideways. She fell off the sled, then slid down the track, landing in a heap. It appeared that prior to crash, Sweeney was bracing for Curve 9 before things spiraled downward. Curve 9 (or Turn 9) of the luge track has become folklore at the games. About halfway down the track, the ninth turn of 16, it’s steep and requires tactical manoeuvring that athletes were already preparing for before the games. According to NBC Olympics, the curve is a 45-degree turn that turns athletes to the right before making them adjust to the left coming out of it. “It’s definitely one of the harder curves around the world,” Tucker West of the U.S. told NBC Olympics. Sweeney is hardly the first luger to be thrown off by the turn. On Monday, Austrian luger Birgit Platzer fell on the turn and actually went airborne, though luckily, she, too, was alright. Some of the athletes at the Olympics have experienced the turn before when they competed at the 2017 World Championships in Pyeongchang. According to the Associated Press, track workers tweaked the curve in the past year to make it a little more manageable. 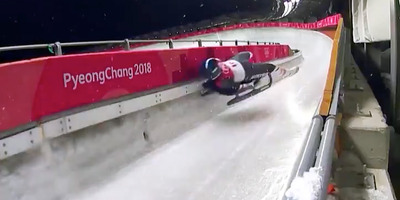 “I don’t think Curve 9 is dangerous, but I am worried because it’s technical,” Mazdzer said in a video for NBC, explaining how it can throw a luger off by tenths of a second, which can be the difference in a medal.